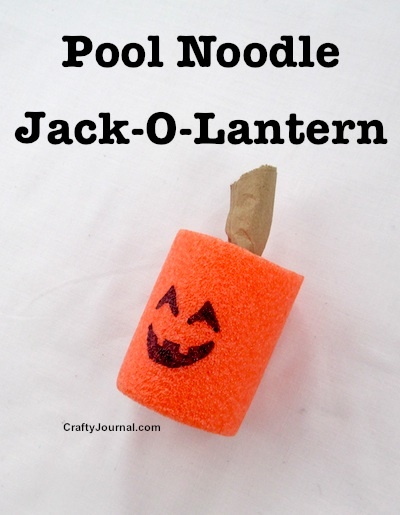 If you are lucky enough to have an orange pool noodle left over from the summer, you can make several super easy Pool Noodle Jack-O-Lanterns. Preschoolers will have so much fun with this project, and even toddlers can scribble a face on their pool noodle pumpkin. A fun idea is to make them different sizes: very tall and thin, average, or short and squat. If you don’t want to draw faces on them, you can make their features with black felt or craft foam. 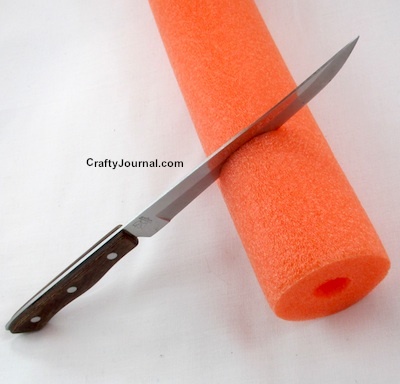 How to Make a Pool Noodle Jack-O-Lantern. 1. Decide how tall you want your Jack-O-Lantern. Measure this amount from one end of the pool noodle. Cut off the end of the pool noodle where you have marked it. A knife slides right through the noodle easily. Be sure an adult does the cutting. 2. Draw the face on the pumpkin. 3. Color in the features with the black Sharpie. 4. Cut off the bottom of the lunch sack. 5. Twist the lunch sack until it is small enough to fit in the hole in the pumpkin. 6. Put the twisted lunch sack into the pool noodle to make the stem. Let the kids decide where their Jack-O-Lantern should sit. 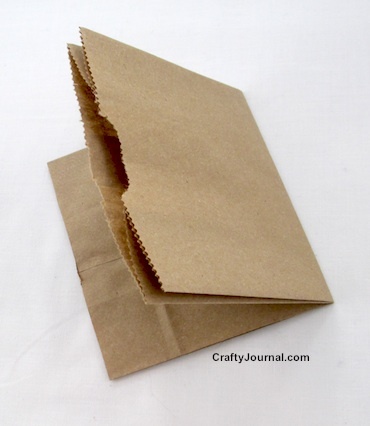 Use green or brown construction paper to make the stem instead of a lunch bag. Love this idea! We bought a ton of pool noodles to make a pool noodle fort (idea from Pinterest) and half of them are orange. The fort didn’t last too long, but now I know what to use them for! Great gift idea for people with pools too! What a cute idea! I love letting kids decorate their own crafts! super cute and simple idea! What a cute project! And for a dollar store noodle you couldn’t get much cheaper on supplies. 🙂 Bet your kids had fun making these. What a cute idea! My Mom teaches the special needs Sunday School class at our church and the kids would love this! Pinning it! Omgee I love this idea! I wish I picked up more pool noodles from the dollar store during summer. 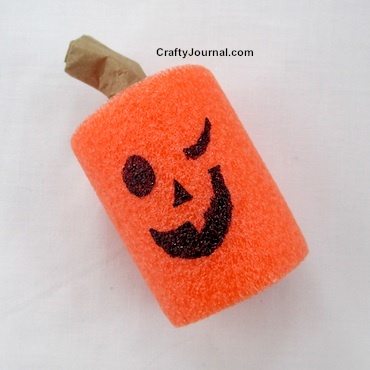 Hope you can stop by and link this awesome craft on the Spooktacular link party. Such a cute re-use! Found you via Thriving on Thursdays. How fun and sooo simple. I’d love you to come over and link this post at The Fabulous Fall Party. What a great idea for kids and they are safe too. What a fun and easy project! Thanks for sharing with SYC. What a fun use of a pool noodle. Awe! My daughter will love doing this!! What a fun and simple pumpkin craft for little ones! And a great use for some of those pool noodles that have gotten a bit torn up this summer. Stopping by from the crafty link up! Love this simple idea Noreen! Thanks for sharing at A Round Tuit. Hope you have a lovely week. What a cute and easy craft for kids to make. These would make great decorations for Halloween. Thanks for sharing at the #Made4Kids Link Party!